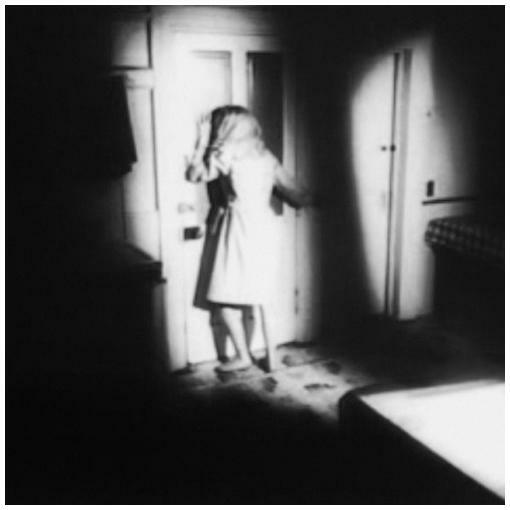 In 2009, my recording project 400 Lonely Things released the album Tonight of the Living Dead - a dark ambient aural collage using samples from the 1968 George Romero film Night of the Living Dead as its only ingredients (available at iTunes here). The compact disc edition featured a 12-page booklet of visual collages and treatments of frame captures from the film itself. BELOW: A window poster promoting Tonight of the Living Dead and other releases by 400 Lonely Things. Tonight of the Living Dead was a modest critical success, earning an endorsement from Judith O'Dea (star of the original film), articles in several horror oriented websites (including a 4-page feature in Scars Magazine here), and even a full-page feature in the August 2009 edition of the highly respected horror magazine Rue Morgue (scanned below). Tonight of the Living Dead has ended up in some interesting places. A music video for one of the tracks (watch it here) was featured in between showings of future classic zombie films Colin and Pontypool at the Flyway Film Festival's International Zombie Summit in October of 2009. The 2010 film Night of the Living Heads featured a few tracks from the album as will the forthcoming major theatrical release and 3-D animated prequel to Night of the Living Dead - Night of the Living Dead: Origins 3D - by newly discovered virtuoso Zebediah de Soto. I've been told copies of the album were even given to George Romero. If so, I hope he enjoyed it. A selection of high-resolution artwork from the compact disc edition can be downloaded here. Further information on Tonight of the Living Dead can be found here and an interview with me discussing it in Bloody Disgusting was published here.